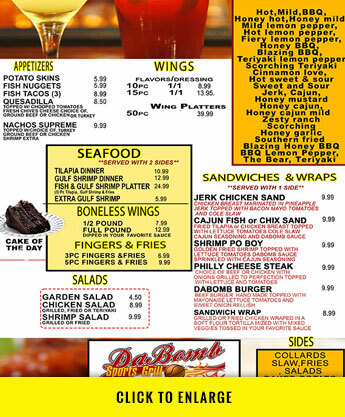 DaBomb Sports Grill is famous for serving best hotwings in the world. 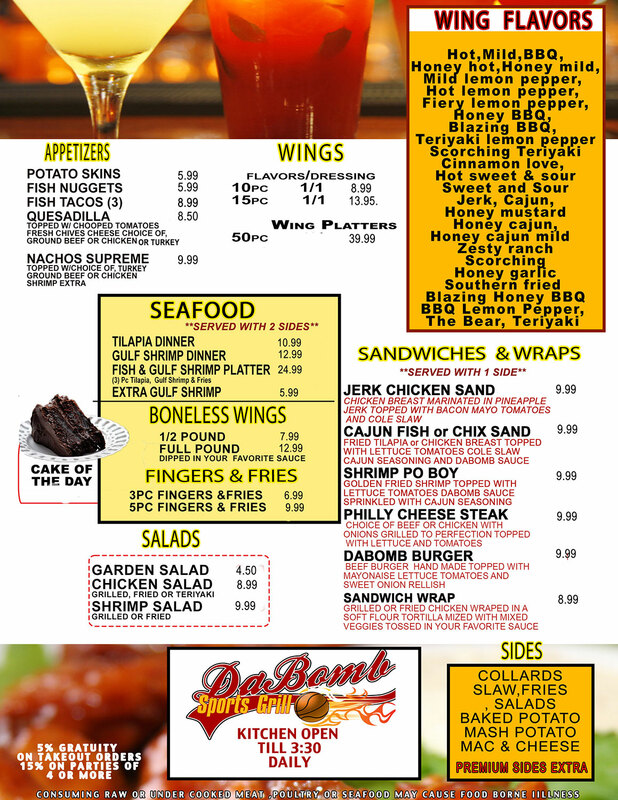 We have over 31 distinct flavors of our wings. Our bar and grill also offers a wide assortment of appetizers, main courses, side dishes, and drinks that will please any palate. What separates us from most bars is that we use real ingredients. Our burgers,fingers, and shrimp meals are hand breaded made to order. Our collard greens and Mac and cheese are homemade and will standup to those made at the best soul food places.